Art-Exchange is a business-to-business exchange designed to serve the needs of the Supply Side of the fine art market (artists, publishers and other sellers) and the Buy Side (designers and dealers). 3. Dynamic pages: All text pages can be edited through the admin backend tool. 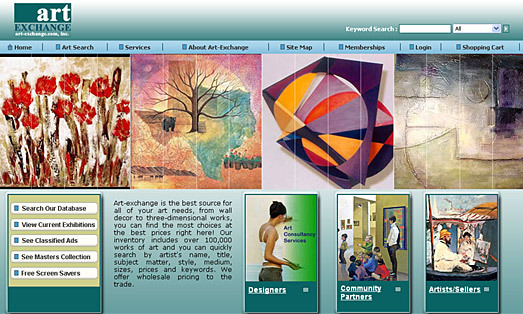 Segnant created a fully dynamic site with robust technology to allow Art-Exchange to sell products online effectively.